One of the exciting things about living in the times we do, is to see all the renewal that is surging through the Church. Sure a lot of people give in to the sensation that our culture and Church is going to 'hell in a handbasket', but if you have eyes to see, there are marvelous things happening all about us. One, I feel, is the emergent tribe, and all the excitement that comes with it. If you have the time, take a look at our Anglican branch of that tribe at Anglimergent. The shadows of Lent are past, and the shining Light of Easter is upon us! This Easter Sunday morning as the beams of the rising Sun stream through the clouds of incense over the beautifully flowered Altar during Mass, I once again, I will realize this is but a shadow of the Glory those we love but see no longer now behold. Resurrection has come! I am still learning what Resurrection means. Perhaps this excerpt from an essay at Busted Halo can illume our path a little. It opened my eyes a lot. Father Mychal Judge, Franciscan Friar, who served as chaplain to New York City Fire Department and died in service on September 11, 2001. On his death certificate, Father Judge was listed as “0001”—the first victim of 9/11. On that fateful day of 9/11, Mychal rushed to be down at the epicenter of the suffering and was offered safe passage by Mayor Giuliani to escape the chaos when all seemed, finally, lost. Mychal, however, refused the offer, saying the he needed to be with his men. He died there, praying with one of the fallen heroes of that day, protecting him with his own body. This is essentially the Easter message. Our Easter faith teaches us that out of the depths of such great and excruciating suffering, some glimmer of hope shines. There is no darkness great enough that can engulf the light of the Risen Christ. This is not, of course, to say that there is any goodness in the suffering and violence itself: Jesus himself said to His Father: “If it be your will, take this cup from me!” We must take care never to glorify, romanticize or exalt suffering as its own end. But it is a great mystery—a paradox—that life can emerge where death abounds. Easter is essentially this mystery. To say “Christ is Risen” is not simply to say that good will follow from bad. It is rather to say that precisely in and from the hard suffering of loss and diminishment, some measure of God’s consoling presence is found. Lord Jesus Christ, Son of the living God, we pray You to set Your passion, cross, and death between Your judgment and our souls, now and in the hour of our death. Give mercy and grace to the living; pardon and rest to the dead; to Your Church peace and concord; and to us sinners everlasting life and glory; for with the Father and the Holy Spirit You live and reign, one God, now and for ever. Amen. On Ash Wednesday we started a journey that will be competed tonight. The new journey we start tonight does not end until the Resurrection of Easter. We leave our familiar parish in silence; this night there is no benediction, no blessings, only despair. Like the disciples on that dark night long ago, we scatter in the darkness - at least we know that it is tonight that our Salvation is wrought. Every year one of the Stations of the Cross speaks to me more than another. Sometimes it is only once, sometimes it is all through Lent, as my Parish does Stations each Friday. 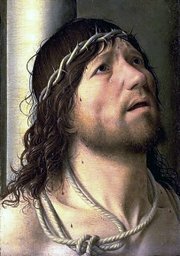 This year it is the 12th Station, Jesus dying on the cross. In my life I have been with three people who have died while I held their hands. My beloved wife, my younger brother and just last June, my Dad. The awful finality of that penultimate moment is beyond description. I have seen a human body just stop, (and He was fully human) I know, deep down what it means. The depth of grief and loss simply endless. To know that my Jesus also went there, that He, Who made this world, died … yes literally died as we all must, on that rough hewn cross... it is simply something that I am only truly connecting with this year. How did his family and disciples feel? Did they know that depth of loss and the unalterable finality that we all feel when someone we love slips from this world? Tonight, as the gathered Christians kneel before the 12th Station, and journey with Jesus in His death, I will be thinking about those gathered around the foot of that Cross, and I will be there with them.